To mark Pixar’s triumphant return this year with Inside Out now in theatres and The Good Dinosaur coming out later, I thought I’d put together a list of my top 10 favourite Pixar films. However, upon realising that Inside Out is only the 15th film they’ve ever made, I thought that putting together a top 10 seemed almost redundant which is why I’ve decided to do Disney animations (including Pixar) instead. That’s when I realised that I haven’t watched most of these films since I was a kid. One Disney marathon later I’ve finally finished putting together a list. Disney has made some truly wonderful films over the years rich in heart, creativity and imagination and so narrowing them down to 10 choices was no easy task. While watching these films I found that one unfortunate downside of growing up is that I can’t really enjoy these films in the same way that I did as a kid. The great thing about Disney though is that there’s just as much for adults to enjoy as there are for kids and so I was able to rediscover and enjoy many of these films in ways I hadn’t expected. What follows is a list of the 10 films that I enjoyed the most and that I felt had the most profound effects on me. I debated with myself for ages over whether I should include this film on the list due to how uneven it is. There are parts of this film that I really, really love but there are other parts that I really, really hate. The romance between Esmeralda and Phoebus is quite generic, the story can be a bit clunky whenever it diverges from Hugo’s original novel and I absolutely despise the gargoyles. However the good things about it were simply too good to ignore. Quasimodo and Frollo are both fantastic characters and their stories are so brilliantly done. Quasimodo’s quest to find love and acceptance amongst others is truly touching whereas Frollo is utterly compelling as the merciless and corrupt judge attempting to convince himself that what he does is God’s will. It is a dark and daring story, especially for Disney, that the music and the animation turns into an incredible viewing experience. Two years after its release this film is still everywhere and many people are just about sick and tired of it. However I simply enjoyed it too much not to include it on the list. 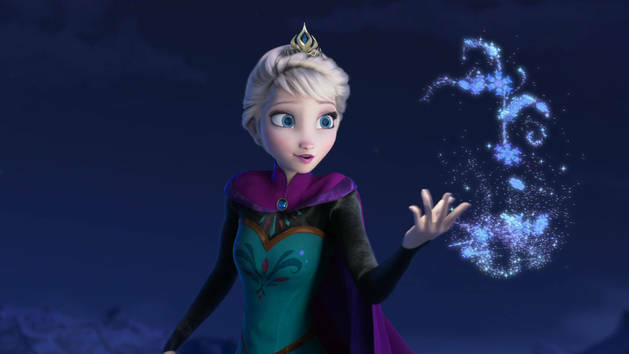 Disney is of course famous for its many different fairy tales and Frozen is one of the best. I really like how it took the fairy tale format but was able to update it in certain ways that set it apart from its predecessors. One way it did this was by placing the story’s focus on the relationship between the sisters rather than on a romance. Elsa and Anna are both great characters in their own rights and the film did a fantastic job of showcasing the bond between them whilst also allowing them their own individual moments to shine. 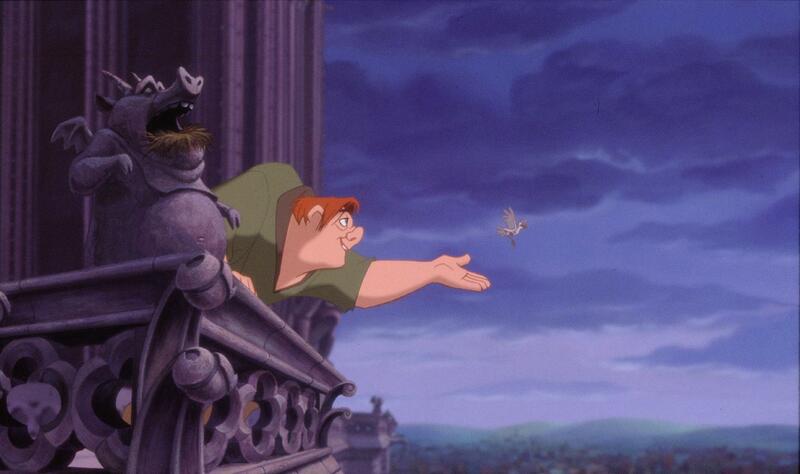 The film also boasts of stupendous animation and one of Disney’s best (if overplayed) soundtracks. This film deserves its place for the opening 10 minutes alone which, for me, is the single greatest sequence that Pixar has ever done in any of their films. It speaks volumes for Pixar’s ability to move an entire audience in such a simple yet effective way and its readiness to challenge its audience, particularly the children, with mature and complex ideas. 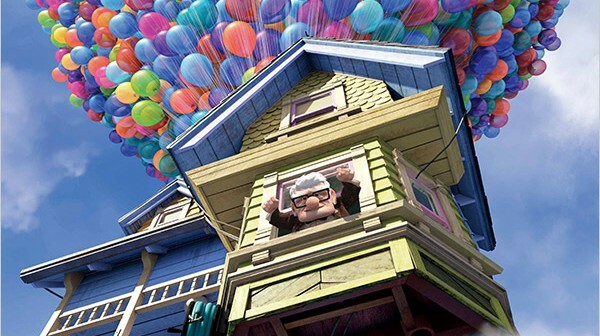 The opening sequence aside, Up stands as one of Pixar’s most enjoyable films. There is a real sense of adventure to the quest that Carl and Russell embark upon as the film marvellously delivers on the thrills and excitement. The film also provides some of Pixar’s best comedy with Dug standing out as a personal highlight for me. Pixar’s uncanny ability to make its audience laugh just as soon as it makes them cry never fails to astonish me and Up succeeds at both with flying colours. How do I even begin to describe this film? The universe this film takes place in does not make any sense whatsoever and that is why I love it. There is no rhyme or reason to Wonderland; it is all sheer and utter madness. Many have tried to adapt Lewis Carroll’s novels to the big screen, but this film is one of the only ones to ever capture the spirit of them. 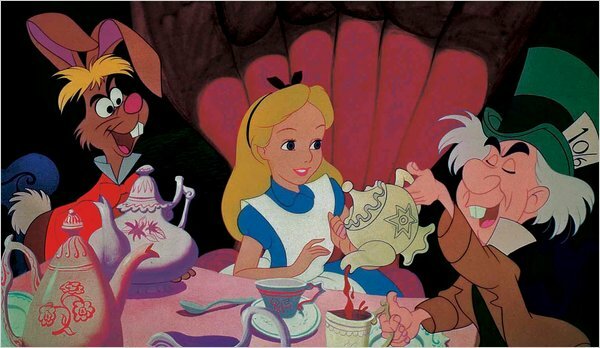 Disney understood that the insanity is what makes Wonderland and so, whatever divergences they may have taken from the original novels, they remained steadfast and true to the story’s essence. Watching the level-headed Alice as she attempts to apply reason and logic to the sheer lunacy of the characters she encounters only to get helplessly lost is both riveting and hilarious. Even as an adult I still cannot get over how bonkers this film is which is why, of all the films on this list, this is easily the one that makes me laugh the most. The inclusion of this film might seem a bit premature considering that it’s still in theatres but I was so blown away by this film that I didn’t feel like I could leave it out. For me there is no other film by Pixar that better illustrates why they are so good at what they do. With Inside Out Pixar found a way to explore the depths of the human mind and emotions in a way that is both accessible and entertaining for children and adults alike. The themes and ideas of this film are simplified yet intelligent. The mechanics of the universe are complex yet comprehensible. The message is challenging yet poignant. Pixar found a way to explore a large and stimulating idea while still allowing room for hysterical comedy, unforgettable characters and emotionally profound moments. It takes an extraordinary amount of intelligence, heart and skill to create a film of this calibre and Pixar has shown once again that they’ve still got plenty of each. I absolutely love this film to bits. The Hamlet-inspired story of Simba’s quest for redemption and then vengeance (or justice if you prefer) is a thoroughly captivating one that never fails to grab my attention. Some of Disney’s best characters, from the wise and benevolent Mufasa to the deliciously evil Scar to the loveable duo that is Timon and Pumba, come from this film and provide some outstanding character moments. 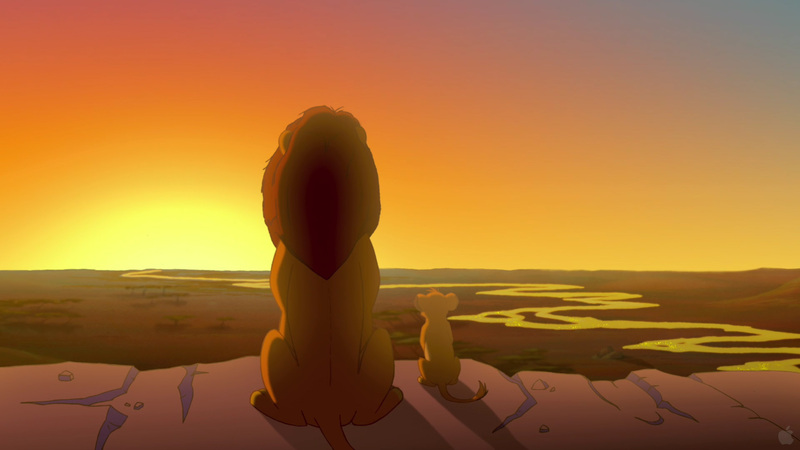 Even now watching Simba approach his father’s lifeless body is harrowing for me to watch. The soundtrack is also my absolute favourite from any Disney film with the fantastic Elton John/Tim Rice songs and Hans Zimmer’s incredible orchestration providing the film with some of its best highlights. The film does have a few imperfections (for example they do kind of botch the film’s message towards the end), but none of them have ever been able to diminish this film in my eyes. I think that The Lion King is a superb film and love it just as much as I did when I was a kid. I mentioned earlier how Disney is famous for making films based on fairy tales and, for me, Beauty and the Beast is their crowning achievement. Everything about this film is done perfectly. The romance between Belle and the Beast unfolds and develops at just the right pace and the bond they form with one another is such an endearing one. The side characters, from the smugly dense Gaston to the elegantly charming Lumiere to the maternally gracious Mrs. Potts, are all great and all provide the film with a wealth of enjoyable highlights. The songs are all as memorable as they are excellent and complement the overall story perfectly. The animation makes gorgeous use of colour and flows seamlessly. The story progresses naturally and never drags or rushes. There is simply nothing wrong with this film. It has all of the charm, the enticement and the magic needed for a magnificent fairy tale and delivers it flawlessly. There was never a question about a Toy Story film making this list; the only question was which one. 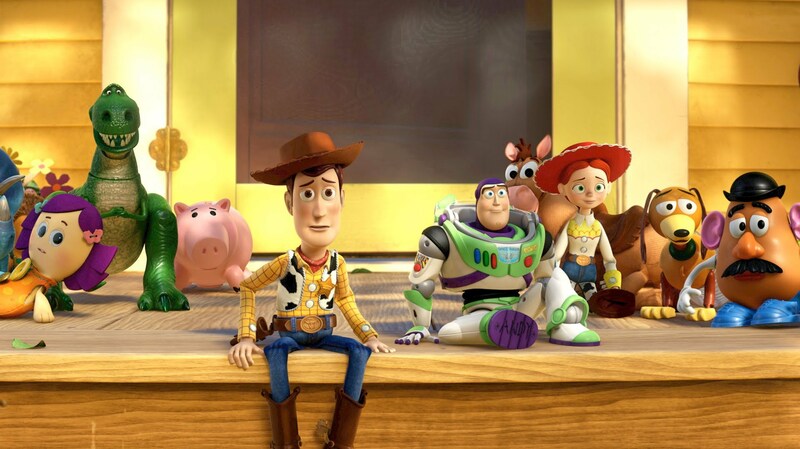 The question of which Toy Story film is the best could probably go on forever but my personal favourite is the third. Of all the films in the trilogy, this was the one that had the most profound effect on me. I saw it an age when I wasn’t quite an adult yet but my childhood was long behind me. The film’s theme about growing up yet always keeping a part of your childhood within your heart really struck a chord with me and so this film always provokes me with a strong sense of bittersweet nostalgia. As far as story and character goes there is plenty to praise but, more than anything else, it’s the nostalgia that does it for me. The brilliant characters, the moving story and the hilarious comedy are added bonuses. For me this has to be the most beautiful and most enchanting film that Pixar has ever made. That the film was able to turn a machine into a loveable protagonist with a fully-rounded personality, form a romantic bond between him and another machine and then send him on a galactic journey, all without any substantial use of dialogue, is a testament to Pixar’s incredible storytelling abilities. One of the fundamental rules of storytelling in films is ‘show, don’t tell’, and few films do that better than WALL-E. The breathtaking visuals in this film convey a moving tale of love, discovery and wonder in such a spectacular way that this film never fails to astound me. There is a certain gracefulness and delicacy to this film that I have yet to see in Disney’s other offerings save the top entry. 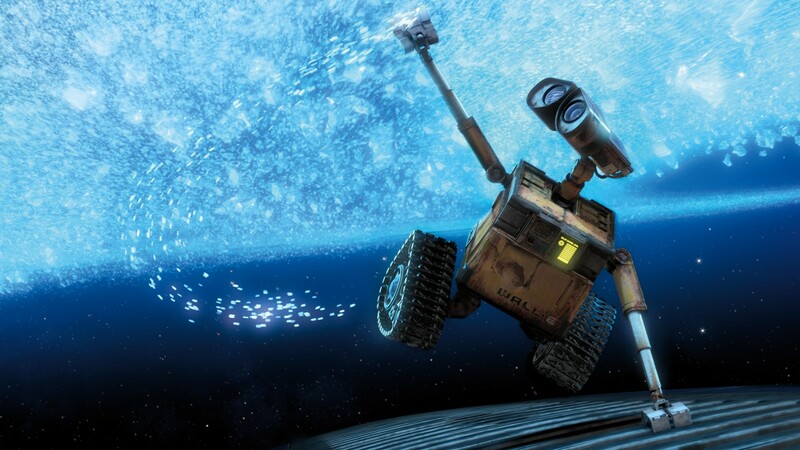 Watching WALL-E and EVE fly through space with one another was like watching a cosmic ballet. The sense of wonder and majesty this film provides is almost unparalleled. Fantasia is more than a great Disney film, it is a cinematic masterpiece. This film transcended what was considered the traditional narrative structure for films at the time and played a significant part in redefining what storytelling meant in films. 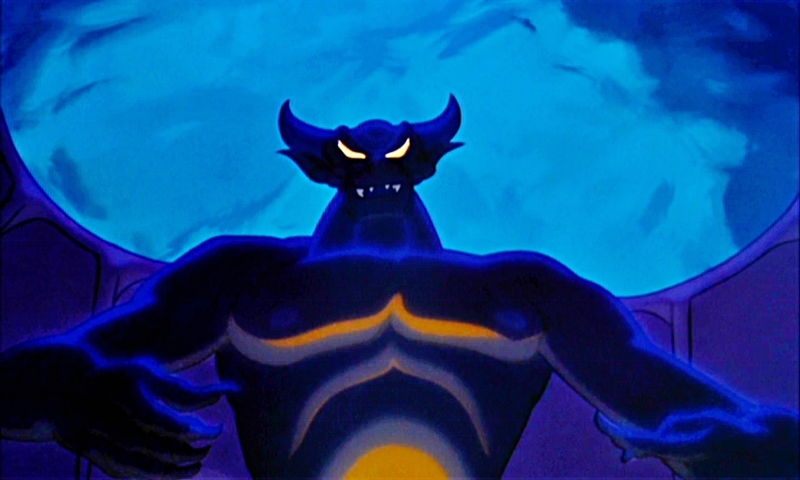 By providing animated sequences to match famous works of classical music, Fantasia provides stories both abstract and narrative, all expressed purely through visual and musical means. One sequence provides a story simply told through colours and shapes while another is a fully-formed short-story complete with characters and a plot. The film shifts in tone from being childish and funny to being serious and profound. My personal favourite sequence is the last one with the Night on Bald Mountain followed by the Ave Maria. The dark intensity of the former becoming overpowered by the divine beauty of the latter provides a poignantly powerful moment with the staggering animation matching perfectly with the music. This film pushed the boundaries of what art and film were capable of and did it in such an unbelievable and affecting way that it remains today one of Disney’s finest achievements and without question my favourite of all their films. As big a fan as I am of the Marvel Cinematic Universe, I wasn’t expecting much from Ant-Man. Even after watching the trailer I still wasn’t convinced by the idea of a superhero whose power was shrinking to the size of an ant. I had faith in Marvel’s ability to turn this film into a decent flick but I wasn’t expecting anything spectacular. I think the filmmakers must have realised that Ant-Man was quite a silly concept for a film and so they wisely embraced that by making it one of their funnier, more unconventional films. This is both a strength and a weakness in this instance as Ant-Man proves to be an enjoyable if otherwise unexceptional film. It stands as something of an oddity in the MCU (in a good way) as it provides a hero and a concept unlike anything we’ve seen in this franchise. I think it’s fair to say that I enjoyed this film more than I thought I would, but I still don’t think it left that much of an impression on me. It is a decent film, but not one of Marvel’s best. Upon being released from prison Scott Lang (Paul Rudd), a well-intentioned thief, is determined to turn his life around so that he might be allowed to see more of his daughter. He tries to build a legitimate life for himself with the help of his fried Luis (Michael Peña) but finds that few people, least of all his ex-wife Maggie (Judy Greer) and her cop husband Paxton (Bobby Cannavale), are willing to give him a second chance. He is presently approached by Dr. Hank Pym (Michael Douglas) who wants to recruit him for a special job. Pym reveals that he has unlocked the secrets to shrinking people and objects and has harnessed that technology into a special suit. This is the suit that will allow Scott the power he needs to become the Ant-Man. Under the training of Pym and his daughter Hope van Dyne (Evangeline Lilly), Scott prepares for a heist that will prevent Pym’s former protégé Darren Cross (Corey Stoll) from unlocking the secrets to the shrinking technology, a development that Pym feels would have disastrous consequences for the world. There were a lot of things I enjoyed about this film and one of them was the main character. Casting Paul Rudd as Scott Lang was a stroke of genius. As well as bringing much charm and humour to the role, I like how down-to-earth and relatable he turned out to be. Of all the superheroes in the MCU, Scott is probably the closest they have to an everyman (except perhaps Hawkeye) and so I’m glad that they chose a normal guy to play the role as opposed to a buff, handsome Hollywood superstar. The film also had some great comic moments as it decided to have fun with the aspects of its story that would otherwise have been difficult to take seriously. Some of its funniest moments were provided by Michael Peña as the blissfully incoherent Luis. Scott’s training as Ant-Man was well done, in large part due to Michael Douglas who did an expert job of selling Ant-Man as a concept. Watching Scott master the shrinking technology and learning to command the different types of ants to serve their differing functions turned out to be the most enjoyable part of the film for me. The two main characters who simply didn’t register with me were Hope van Dyne and Darren Cross. The former is a typically underwritten female love-interest who sometimes throws a few punches and the latter is a pretty forgettable villain. Both of their actors brought what they could to the roles but there simply wasn’t much for them to work with. While the comedy may have provided the film with many entertaining highlights, there is a significant downside as well. The comical tone the film decided to go with meant that I sometimes had a hard time taking it seriously when it was actually called for. With the exception of one scene at the end, I never really felt like there was a clear and present danger in this film nor did I ever really feel the stakes of what was happening. At times when an action scene was taking place, it would suddenly be interrupted by some sort of gag that, while funny, felt a bit disjointed. It may not have been out of place with the film’s tone but I did think that it stole from the excitement and thrills that the film was trying to provide. Ant-Man may not be Marvel’s best film but it isn’t the worst either. The dispute that resulted in Edgar Wright leaving the project might explain why the film felt a bit disjointed but I still think Peyton Reed did a decent job of pulling it together. The film may not be as exciting as Marvel’s other offerings but it is never boring either. What the film lacks in thrills it makes up for in fun and humour. It is lacking in character and doesn’t have the best executed story but is still very enjoyable for all that it does offer. It took an idea that could have very easily been done terribly or ridiculously and instead pulls it off quite admirably. Ant-Man is a creative, funny and entertaining film that should please any Marvel fan or simply any moviegoer looking for a fun action film. Pixar has a black belt in emotional storytelling and has an uncanny ability to make films that appeal to every generation in the audience. At its best Pixar can weave a captivating and moving narrative with just the right balance of humour, drama, action and heart in a way that both children and adults can enjoy. Although their films are mainly targeted at children, Pixar is never afraid to challenge them with complex themes and mature ideas. Pixar never talks down to its audience and their films are never patronising or condescending. Their stories are refreshingly original, their characters are wonderfully enjoyable and their films are thoroughly exciting, funny and profound. Pixar’s ability to move its audience is impeccable; from the bittersweet nostalgia of Toy Story to the heartbreaking opening of Up to the wondrous charm of WALL-E, it is clear that Pixar is in touch with its emotional core. It is little wonder then that their newest film, which delves into the themes of emotion and human nature, should prove to be one of their most emotional films. I cannot think of any other film that better demonstrates why Pixar is so good at what it does than Inside Out. Inside Out takes place in the mind of Riley, an 11-year-old girl going through a big change in her life. Her actions and decisions are determined by her emotions, here personified by Joy, Sadness, Anger, Fear and Disgust. The five of them together guide Riley from the control centre inside her mind through her everyday life. When Riley’s life is uprooted from her familiar and comforting home in Minnesota to the strange and unsettling city of San Francisco, her emotions struggle to cope with the change. The conflict and chaos that ensues has a distressing effect on Riley as her new life proves difficult and upsetting for her. Joy, Riley’s chief emotion, tries to keep her mind as happy and as optimistic as possible while keeping her negative emotions at bay. Through this story the film demonstrates how complex and interchangeable human emotions can be. As Riley’s emotions learn more about how her mind works and develop a greater understanding of themselves and the ways in which their actions can affect her, Riley grows more as a human being. Not unlike how The Beatles had a singular ability for writing incredible yet astonishingly simple songs, Pixar has a knack for tackling complex and challenging themes and presenting them in an easy and accessible way that looks almost effortless on their part. Nevertheless it is plainly clear that a lot of thought and work goes into these films and Inside Out is no exception. This film explores the substantial subject of human emotion in a way that is both easy to understand and enjoyable to watch. The film is able to simplify what it needs to and to provide as much explanation and exposition as it needs to without disrupting or slowing down the narrative in any way. Half of the time the visuals do such a strong job of speaking for themselves that no explanations are even necessary. The mechanics of Riley’s mind are more than I can possibly explain in a brief summary and no descriptions I can provide could possibly do justice to the skilful way in which the film presents its world. It really is better to let the film speak for itself in this case. What I can talk about is the characters. The five emotions who inhabit Riley’s mind are all brilliant and enjoyable in their own ways and complement each other perfectly. Joy stands as their leader and so it is her job to guide the other emotions whilst also keeping them in check so as to allow Riley the happiest life possible. This becomes more difficult as Riley grows older and her other emotions, particularly Sadness, become more powerful and potent. Watching the emotions interact with each other and then witnessing the effects their actions have on Riley is both fascinating and entertaining. Their reactions to the happenings of Riley’s life are often hilarious and yet they also provide stark reflections of how our own emotions work, especially at that age. The purity of the emotions makes them very identifiable which is why I think many in the audience will find Riley’s emotions entirely relatable if not the character herself. The emotions can be absolute, irrational, unstable and inexorable, much like our own emotions. Another character worth highlighting is the endearingly delightful Bing Bong who provides the film with some of its funniest and most moving moments. I could praise Pixar and this film until the end of days. 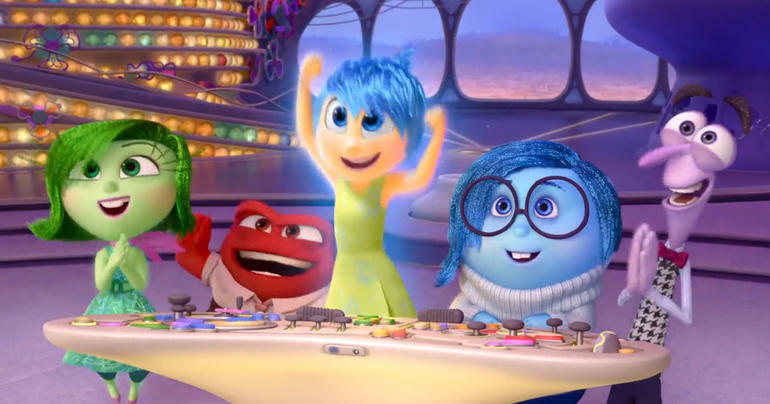 Inside Out is everything a Pixar film should be. The story is both clever and accessible, the characters are memorable and identifiable and the universe that this film creates is creative and absorbing. The film delivers on the humour, the adventure and, above all, the emotion. It also delivers a profoundly mature message about human emotions and how truly essential they are. As much as we might like to be happy all of the time, the film shows that sometimes we need to allow ourselves to be angry, to be afraid, to be disgusted, and even to be sad. The film shows us how difficult and how unbearable life can sometimes get but maintains that the only thing worse than allowing ourselves to feel bad is not allowing ourselves to feel anything at all. It is a powerful message and it takes a powerful film to deliver it. The emotional maturity of this film might be a bit much for younger children in the audience more interested in laughs and thrills, but I don’t think that line of criticism should diminish what Pixar has done with this film. Inside Out is a wonderfully entertaining, smart and insightful film that I think ranks amongst Pixar’s finest. As far as the Terminator series goes, I think I’m just about in the same camp as everyone else. I think that The Terminator is an all-round great film and that Judgement Day is the mind-blowing sequel that managed to surpass the original in almost every conceivable way. Rise of the Machines is when things went downhill and when the franchise started to lose the plot. However I will say this for the threequel, I remember it. I remember it being really awful and really stupid but I still remember it. The most I can say about Terminator Salvation is that I’ve seen it. Beyond that there is nothing else to say; I cannot for the life of me remember what the hell happened in that film nor did I care to remind myself. Thus, with two great films and two bad films hanging in the balance, the fifth instalment in the Terminator series could potentially make or break this franchise once and for all. A shame then that Genisys has turned out to be such a soulless ill-executed film that ranks amongst the worst in the franchise. In the futuristic apocalyptic world where man and machine are engaged in a devastating war John Connor (Jason Clarke), with Kyle Reese (Jai Courtney) at his side, has led humanity to the verge of victory. Skynet has chosen this moment to employ its secret weapon, a time machine, and has sent a T800 back to 1984 to kill John Connor’s mother. Kyle is sent back as well to protect her but something goes wrong when John is suddenly attacked by a mysterious figure (Matt(hew) Smith). He lands in an alternative 1984 where Sarah Connor (Emilia Clarke) is already aware of Kyle Reese and his mission and ends up saving him from the T1000 (Lee Byung-hun) with the aid of Pops (Arnold Schwarzenegger), an aged T800 that was sent back to save Sarah during her childhood. That is more or less the point where the plot stops making sense. At the risk of coming across as an angry fanboy rather than a dissatisfied viewer, this film really pissed me off. Admittedly the many flaws in this film probably would not have bothered me as much if the title did not contain the word ‘Terminator’, but that’s the price of tackling a beloved franchise. Living up to the high expectations of an impassioned fan-base is no easy task which is why the studio better be sure that the creative minds behind the film actually care about the franchise and adequately understand how it works. Failure to meets these requirements will be regarded by the fan-base as more than a let-down, it will be regarded as an insult. Jurassic World may not have been everyone’s cup of tea, but the audience can at least recognise that some care and effort went into its inception. Thus when a film like The Last Airbender comes along, an uninspired film that demonstrates a severe lack of any regard for the franchise or its fans, it is met with the utmost aggression. It is not enough for fans of Star Wars to hate the prequels; legions of them, almost religious in their devotion to the original trilogy, have dedicated themselves to deconstructing the prequels right down to the barebones and pointing out every single conceivable thing that’s wrong with them. Terminator Genisys is therefore much more than a bad film; it is an insipid, lacklustre, faithless affront to everything that was good about the original Terminator films. Now that I’ve got my fanatical ravings out of my system I’ll delve more into what was wrong with this film in a more (hopefully) constructive way. I think perhaps the film’s biggest mistake was thinking that the secret to making a good sequel is to make allusions and references to the original films. Thus we are presented with revived catchphrases and reconstructed scenes that ended up doing little to capture the excitement and thrills of the original films. So focused were the filmmakers on inserting references to the film’s predecessors that they forgot to add the interesting characters, compelling stories and the mind-blowing action that made the originals classics in the first place. The characters in this film may have the same names as their original counterparts, but they share little else in common. Arnold Schwarzenegger probably comes the closest to capturing the character he so effectively portrayed in the originals, but he has considerably aged since then. The film does address this, describing their incarnation of the T800 as “old, not obsolete”, but I simply wasn’t convinced that this was the same intimidating, unstoppable force of machinery that he originated so long ago. The film’s versions of Sarah Connor, John Connor and Kyle Reese do little to provide their actors with workable material as they barely manage to display a single characteristic between them. The Terminator franchise is famous for having one of the most confusing and erratic timelines of all time and this film only makes it worse. The very idea of this Back-to-the-Future-II-esque alternative reality is a lot for the viewers to wrap their heads around but from there it only gets even more convoluted and confusing. The tired exposition and nonsensical scientific mumbo-jumbo does little to clarify what follows as the film ventures from the silly to the ridiculous. The plot twist involving John Connor that the filmmakers saw fit to include in the trailer is just as absurd as the advert promised. The action sequences are generically ho-hum for the most part and fail to offer anything new or creative. One clunky fight scene involving two T800s springs to mind that only served to remind me of how much Arnold Schwarzenegger has really aged. Overall it boils down to one gargantuan mess of a film. Looking back on what is probably the harshest review I’ve ever written about a film thus far, I wonder whether I’m being too harsh on this film. It is fair to say that I have actively allowed my feelings on the original Terminator films to shape my judgement on this new instalment and so perhaps I should have made more of an effort to criticise this film on its own terms. On the other hand this film has so inextricably linked itself to its predecessors that I didn’t feel like I could bring myself to isolate it. When I saw the bland offerings of the formerly iconic characters of the franchise and the many forced allusions and references to the original films, all I could think about was how much I’d rather be watching The Terminator or Judgement Day than Genisys. I’m not going to pretend that the original films are flawless and do not have their own fair shares of plot-holes and faults, but the fundamental difference is that I was completely invested in those films because of how much there is to enjoy and get excited about in them. Genisys offers nothing of worth to its audience. This film is utterly devoid of thought, reason and heart. It may not objectively be the worst film to come out this year and may not even be the worst sequel this series has spawned, but it is an unworthy addition to the franchise and we as an audience deserve much better. Sir Ian McKellen, having played both Gandalf and Magneto on screen, knows a thing or two about playing iconic characters. Often when a character becomes iconic, the audience mythologises them. Their images and ideas of these characters become so ingrained in their minds that any change or deviancy from the original is often regarded with hostility, even when it’s done well and with the best intentions. Indeed, history has actually shown that it is possible for these characters to be reinterpreted and reinvented in many different ways while still remaining true to the essence of what makes them iconic. Sherlock Holmes, one of the most iconic characters in all of film and literature, is a prime example in this regard. From Basil Rathbone as the dignified and enigmatic sleuth, to Jeremy Brett as the unhinged and eccentric obsessive, to Benedict Cumberbatch as the modern-day high-functioning sociopath, many have offered their own unique portrayals of the great detective while still remaining true to the heart and soul of the character. This film explores the theme of the mythology of heroes by showing Sherlock Holmes, a man who both defines and defies the legend surrounding him, in the autumn years of his life. Sherlock Holmes (Ian McKellen) is 93 years old and has retired to the country. Watson, Mycroft and Mrs. Hudson have long since departed and so he spends his days in isolation tending to his bees with only his housemaid Mrs. Munro (Laura Linney) and her son Roger (Milo Parker) as company. As he looks back at the circumstances of his final case and Watson’s portrayal of what happened, he finds himself unsettled by the unsatisfactory outcome of the story. In his attempt to remember what really happened and what catastrophic event must have actually taken place to have driven him into retirement, Sherlock becomes all too aware of his failing mind. All he remembers are fragments concerning a beautiful woman whose picture he still holds. The man who made his name and who became a legend for his singular ability to solve puzzles and mysteries becomes lost in his quest to unlock the secrets to his own mind and to human nature. Unlike the recent offerings of the Sherlock Holmes mythos by Guy Ritchie and Steven Moffatt; Mr. Holmes is a quieter, more tempered story. This is something I found to be both a strength and a weakness. On one hand the tranquil tone of the film reflects the docility of Holmes’ life as he spends his remaining days contemplating and reflecting on the days of adventure now long behind him. On the other hand watching this film can be a laborious task as the story does drag at certain parts. Since this film does emphasise that the Sherlock Holmes of Watson’s stories is in fact a romanticised depiction of the man himself, it should therefore be no surprise that this film contains little of the exhilaration or the thrills for which his stories are known. Nonetheless I still found myself somewhat underwhelmed by how modest and restrained this film turned out to be. Sir Ian McKellen provides an elegant performance both as the ageing Sherlock Holmes slowly succumbing to the dilapidation of age and as the younger Holmes at the prime of his wit and intellect undergoing what will be his final case. The bond he forms with Roger provides an emotional core to the story that I hadn’t expected to see and eventually leads to some fine moments both touching and heartrending. However I still felt like it could have been taken further. I never really felt like the Sherlock of this film ever really substantiated the remarkable, singular mind from the stories and perhaps that was the point, but still it seemed to me like the film could have delved further into Holmes’ psyche and could have gone further to show the gears at work. As refined and poignant as I found McKellen’s performance to be, I never really felt like the film got beneath the skin of his character. Although this film did an admirable job of showing the devastating effects age can have on a person, I didn’t really think it left much of an impression on me or really made its impact felt. The elements were all certainly there, I just think they could have been developed further. Still, with all of its restraint and shortcomings, there is much about this film to admire. McKellen shines in the role of the great detective and provides his most emotional performance in years. The film is artistically shot and provides some beautiful images of the English countryside. The idea of man and myth is a compelling one as the film discusses the legend of Sherlock Holmes and its relationship to the man himself as well as offering an insight into the question of what happens to the hero after the legend is over. Even though the story is understated, the emotional journey of Holmes is diffident and the film commits the heinous crime of underusing Laura Linney, it is an interesting and sometimes moving film that provides an intriguing take on Conan Doyle’s creation.